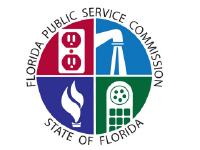 With no questions, the Senate Innovation, Industry and Technology Committee supported the confirmations of Florida Public Service Commission members Julie Brown and Gary Clark. Brown, a Tampa attorney, has served on the utility-regulatory panel since 2011 and was reappointed in August by then-Gov. Rick Scott. The appointment is subject to Senate confirmation. Clark, of Chipley, was appointed to the commission in September 2017 to complete the term of Jimmy Patronis, who was named by Scott to serve as Florida chief financial officer. Scott in August reappointed Clark, who previously was a deputy secretary at the Florida Department of Environmental Protection. Both reappointments are for four-year terms. During brief comments Tuesday at the Senate committee, Brown pointed to widespread changes in the utility industry. “It’s a very exciting time to be engaged in the energy sector,” she said.